We have another Hexi lover! 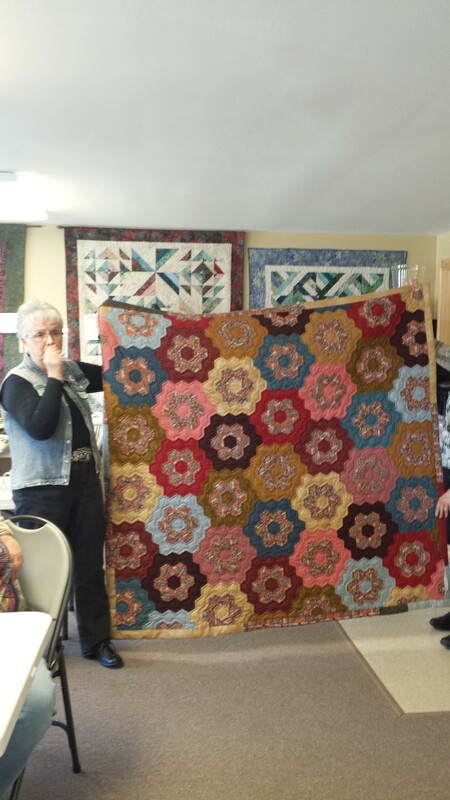 The back of the hexi quilt is shown in the center. 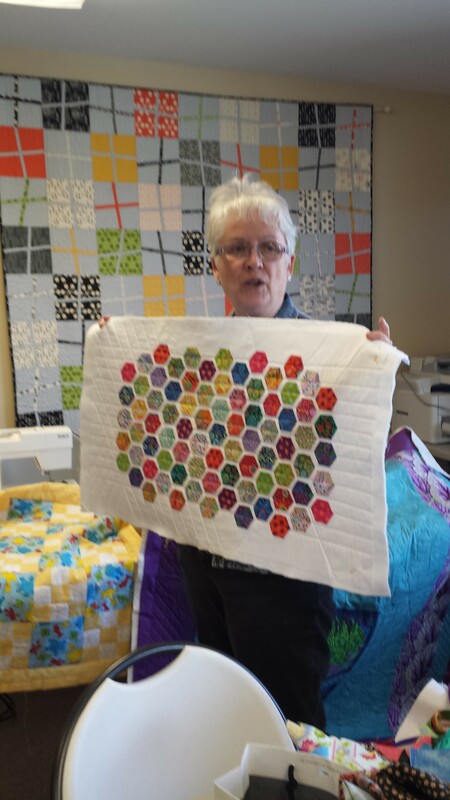 Plus, Eleanor has been working on the smaller hexi quilt. 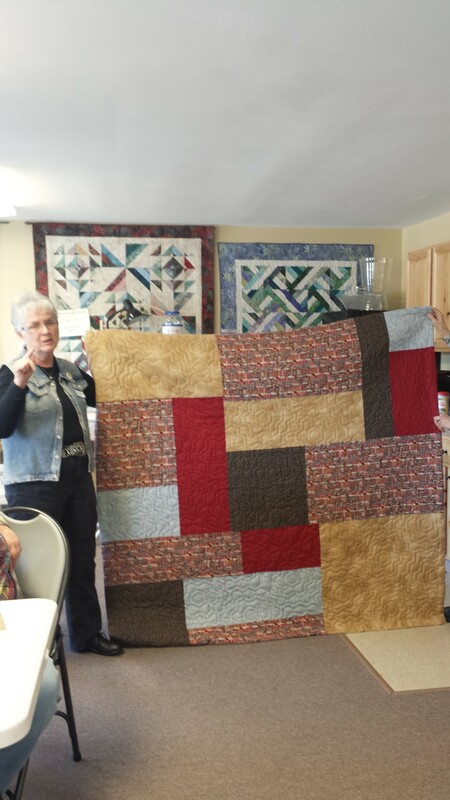 We learned from Eleanor how she applied the hexis and complimented them with straight line quilting. Beautiful!